It is normal for mucus or secretions to accumulate in the eyes. This most likely is caused by plugged tear ducts, which can be gently cleansed with a clean cotton ball or washcloth with warm water. Notify your pediatrician if drainage from the eyes is excessive or if there is any redness or swelling of the eyelids. Sometimes infants have broken blood vessels in the eyes from birth, which may take up to a month to resolve. 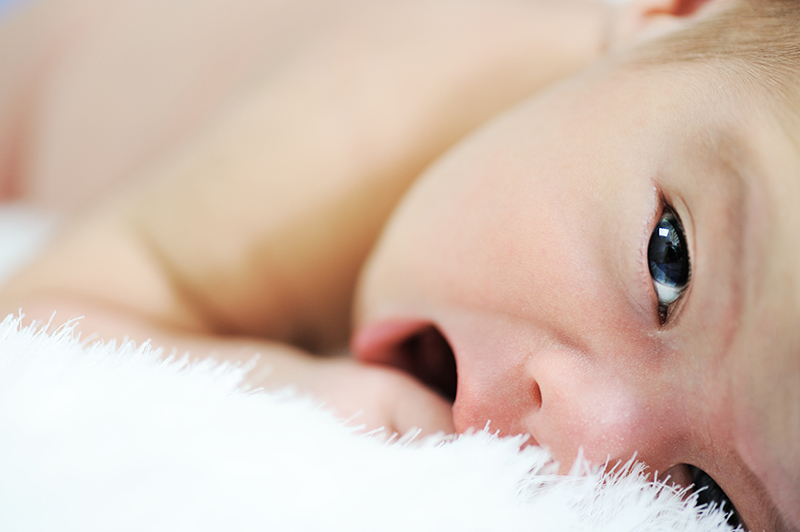 A baby’s eyes often track separately or appear cross-eyed intermittently in the first two to three months of life. If these symptoms seem constant or do not resolve by three to four months of age, notify your pediatrician.